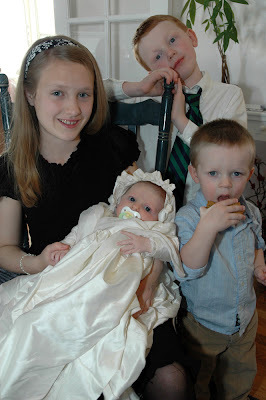 We attended Annissa's baby blessing today, which was followed by a luncheon at Elissa's parent's house. 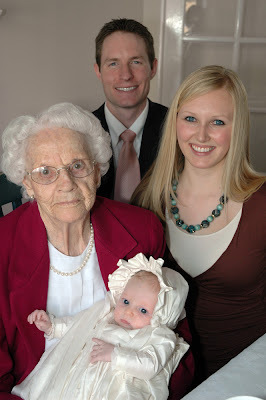 Here is Jordan (Krista's brother) with his wife Elissa and Grandma Olsen. 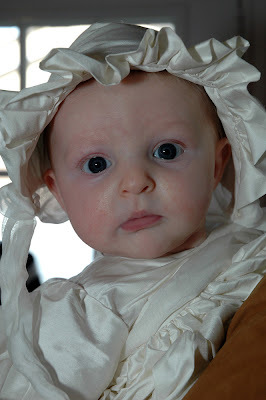 Annissa was absolutely delightful throughout the day and looked quite lovely in her blessing dress and bonnet. Check out those big blue eyes. Here's Aunt Maddie doing what she does best—rocking babies to sleep. (Note to self: Why have we still not taken advantage of this yet?) Our two nephews Lucas and Seth joined in as well. Ava would have gotten in the picture as well, but was fast asleep at the time. 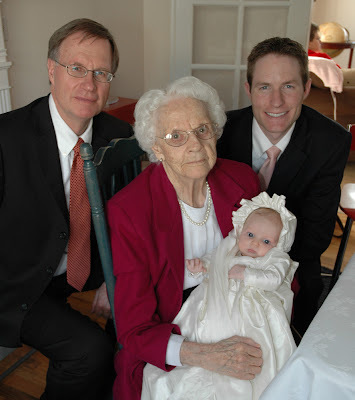 A four generations picture of Jordan with his daughter, his father Fred, and Fred's mother. 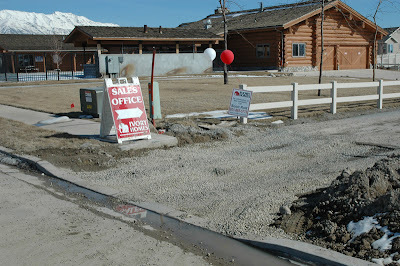 In other news...Larry got his car stuck in this gravel last week. It may look misleadingly harmless, but the gravel is like two feet deep. Luckily, Ryan (and several other neighborhood men) were there to help get him unstuck. Now when we hit bumps on the freeway we hear gravel spiraling out from underneath the car. Also, we received an email from Elder Danny Furr who arrived in the mission field last Tuesday. His first area is in Kingston, Nova Scotia, which boasts the world's best steer barbeque. Yum.